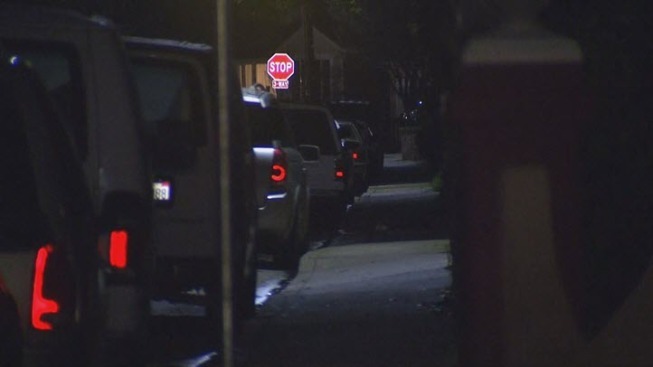 San Mateo County sheriff's deputies are on alert after a woman was attacked by a man who entered her home early Monday. The attack occurred at 12:21 a.m. in unincorporated Redwood City. The sheriff's office said a male suspect entered the 28-year-old woman's home and pushed her up against a wall. "He grabbed her by the throat, trying to choke her," said the victim's sister, who did not want to be identified. The woman screamed for help, prompting the suspect to run away when he saw a family member coming to help. "If he came here to rob he would have grabbed her purse," the victim's sister said. "There were other things he could have taken. Obviously, he had other ideas." In Sunday's incident, the victim left her door open to run inside to let her dogs out. "This could have been avoided," the victim's sister said. Yet, it is still concerning for people who live in the quiet neighborhood. An off-duty law enforcement officer who lives on the same street said an intruder hopped the fence to his parent's home and tried to turn off a flood light. "It's an issue," the officer said of home invasions. "It usually happens during the day and the fact that it happened at night knowing people are at home, it's very concerning." The suspect in the assault is described by the sheriff's office as 20 to 25 years, slim build, approximately 5 feet 6 inches tall, 130 to 160 pounds, with short brown hair and brown eyes. Anyone with additional information regarding this crime is encouraged to call Sheriff’s Detectives at 650-363-4055 or 650-363-4064. Alternatively, you may remain anonymous by calling the San Mateo County Sheriff’s Office Anonymous Tip Line at 1-800-547-2700.